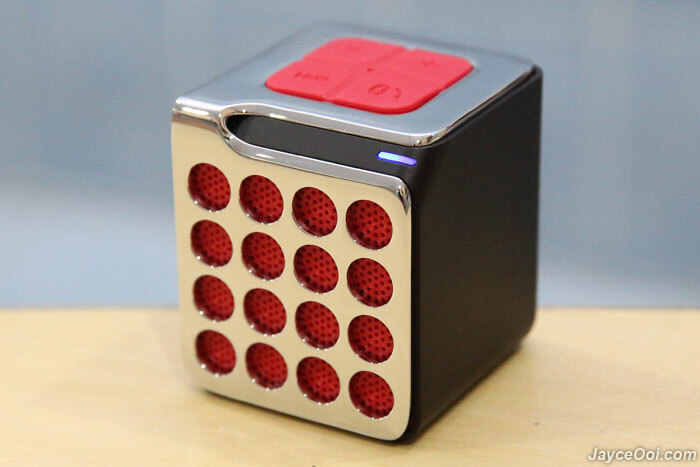 Looking for small and ultra-portable Bluetooth speaker for entertainment on the go? 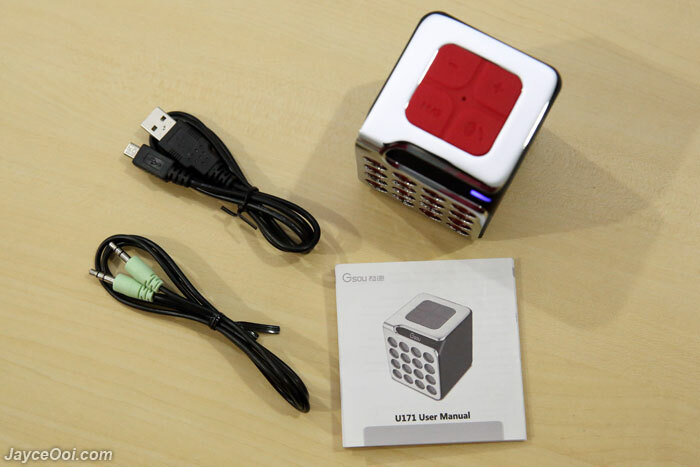 I have one to introduce you – Gsou U171 Portable Bluetooth Speaker. 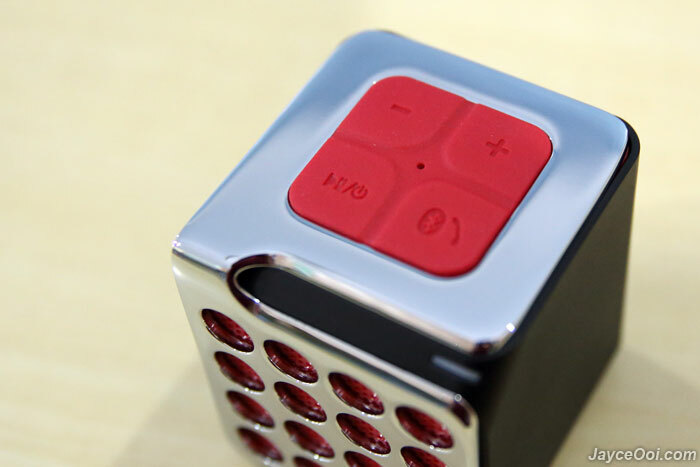 It is an ultra-mini cube rechargeable 1 channel speaker with sleek premium metallic body, nice and stylish. Besides, it also has a built-in speakerphone for small group conference call. How does Gsou U171 perform? Let’s find out. Excellent Bluetooth coverage. Gsou U171 exceeds the standard 10m Bluetooth range in straight line easily and up to 8m with obstacles like wall. I can still enjoy music at all rooms with closed door up stair while Galaxy S4 as the player located at center ground floor. It has the widest Bluetooth coverage among all my Bluetooth devices so far. As usual, all my Windows, Android and iOS devices can pair with it easily. 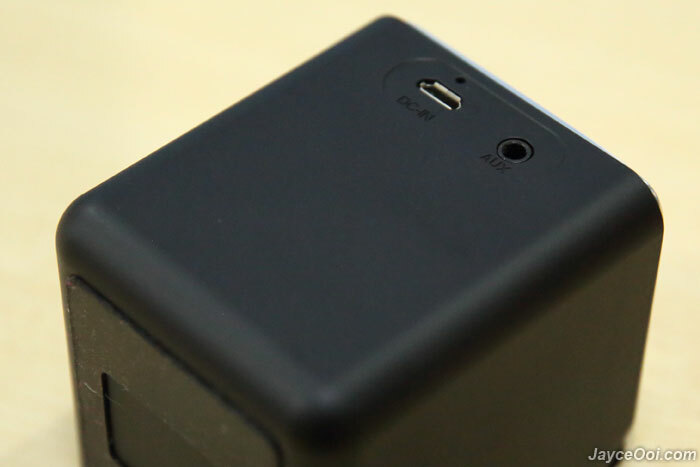 By the way, my U171 is a base model and does not have NFC feature. 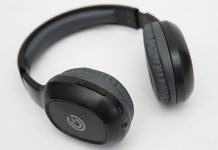 However, Gsou Technology does have U171 with NFC feature support as optional. Same apply to TF (microSD built-in MP3 player) and FM radio. For devices without Bluetooth, 3.5mm AUX line-in port is there for you. Gsou U171 has built-in 500mAh PLB battery with soft pack. It helps to ensure a safe transportation and worry free from explosion. And has 500 times charging lifespan. At average room sound level, it can playback up to 10 hours. Shorter if you play louder. That’s more than enough for daily usage. And it gets charged real quickly. It took slightly more than one and a half hour to fully charge. Besides, it has auto power off function for energy saving. Speakerphone call quality is good. In short, loud and clear thanks to the built-in noise cancellation digital mic. 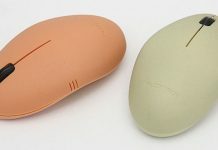 It is a useful feature that you can use it as hand free mode. Work well in office and even during driving in a car. As usual, you need to get close to the mic in order to let other hears you clearly. Aux-in & Micro USB port. And large anti-skid rubber at bottom. Yes, Gsou U171’s sound quality is great even on such small form factor. 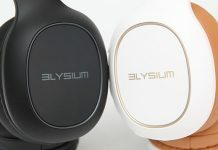 Thanks to dual-coil full range 45mm driver, we can enjoy clear and rich music. Being a 1 channel speaker, this guy can really produces loud sound and deep bass. 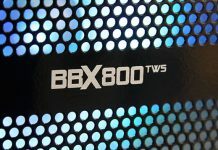 Yes, it is really small in size and yet has powerful output. And the speaker does not move around even on the loudest volume setting thanks to the large anti-skid rubber. High and mid are crisp. And it has amazing bass too. Most of time, my music are being playback wonderfully even at maximum volume level. However, there is a slight distortion on one and two songs out from all the songs that I have tested. 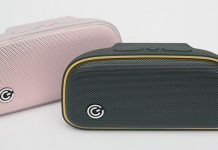 As a conclusion, Gsou U171 is a mini boombox and a great companion to your smartphone, tablet and laptop as it will definitely level up the sound quality and enjoyment. Any complaints? The zinc metal part is fingerprint magnet. Luckily, it only affects the look but not the sound and can be cleaned easily. Besides, the is warning announcement ‘battery low’ on top of red light notification when battery is low. It is actually a nice feature but might annoy certain people as it keeps prompt that every minute until run out of battery. Yup, it last for 15 minutes. But that’s the time that you really need to charge it. 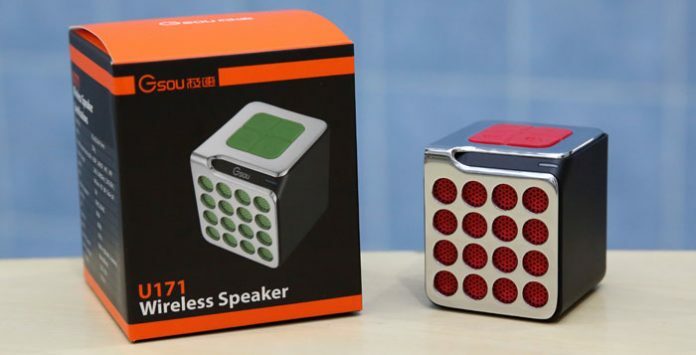 Gsou U171 is a powerful portable Bluetooth speaker on the go. 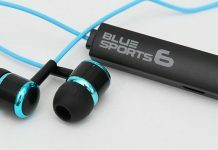 Small in size yet have impressive sound quality. Speakerphone enabled and has long battery life for office or home entertainment use. Interested? More information can be found at Gsou website. Next articleAre you dare enough to face challenges and win RM100,000?